Information regarding Filing Taxes Overseas for Expatriates, Non-Profit Volunteers, and International Businesspeople. 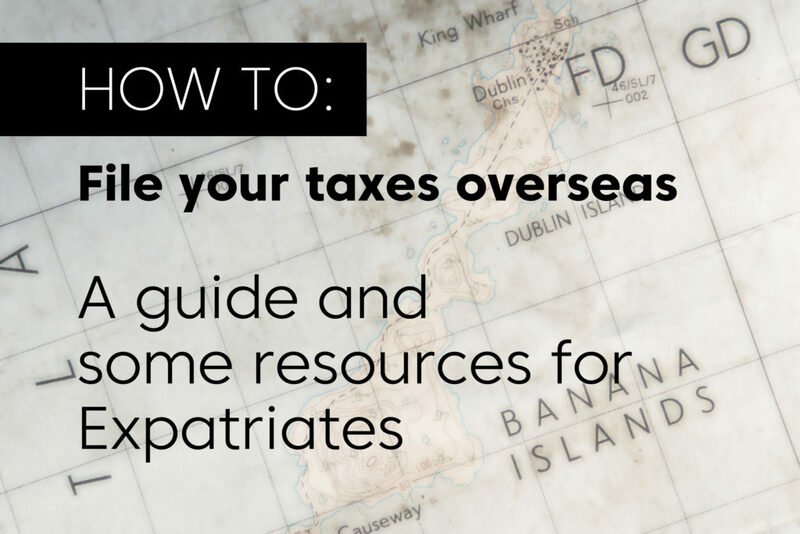 While we are not tax experts, we have put together a quick and easy reference on filing taxes overseas for expatriates and clients of Good Neighbor Insurance. 2.) Next, The IRS also has a page for U.S. Citizens and Resident Aliens Abroad. Note that the Internal Revenue Service states that if you are a U.S. citizen or resident alien, the rules for filing income tax returns and paying estimated tax are generally the same whether you are living in the United States or abroad. Your worldwide income is subject to U.S. income tax, regardless of where you reside. 3.) The IRS Also has an information hub for international taxpayers we recommend. It can be found at https://www.irs.gov/individuals/international-taxpayers. 7.) The Wall Street Journal also published a helpful article a while back on What You Should Know when Filing Taxes Overseas, aimed at expatriates and U.S. residents living abroad or working abroad. Do you Qualify for a Foreign Tax Credit? What if you need professional help preparing or filing your tax overseas? http://www.acareturnpreparerdirectory.com/ is a directory of international tax preparers with 1668 listings, however we noticed some of their links are not working properly. The IRS recognizes the problems faced by international tax filers and is working on improving. Jeff Wood has prepared hundreds of tax returns for international workers. You can also email him at: Jeff@Woodcabin.com. Village Tax Service helps international workers, and offer a host of resources. Email them at info@villagetaxservices.com. Do you have a recommendation? Let us know so we can include them. Note: We do not take responsibility for recommending any particular tax service or offering tax advice. While you are exempt from taxes if you make under $101,300 in 2016 (based on Revised Proc. 2015-53.32), you still must file your taxes. More on the Foreign Earned Income and Housing exclusion in Chapter 4 of the IRS Publication 54. Realize that your domestic insurance carrier can drop your domestic health insurance policy after 2 months overseas due to non-residency. More at: https://www.gninsurance.com/aca-ppaca_how_does_it_affect_me/. You may be able to apply for domestic ACA-compatible health insurance upon your return based on Special Enrollment Period. Otherwise you will need a short-term health plan until the General Enrollment Period is offered again (typically November thru the end of January). Also realize that your life insurance probably will not protect you overseas and you will need either International Term-Life (that may, or may not carry over after returning to the USA) or International AD&D.